Essure Birth Control Device Finally Pulled Off Market | Lattof & Lattof, P.C. Last week, Bayer Pharmaceuticals finally pulled its controversial birth control device – Essure – from the market, announcing that by the end of 2018, the device would no longer be available for sale in the United States. Unfortunately, the announcement ONLY came after the FDA threatened Bayer with civil and possibly criminal penalties and fines if Bayer continued to market Essure without adequately telling women of the serious health risks arising from use of the Essure device. Of course, Bayer continues to maintain that the product is safe for use and that the decision to pull it from the market was based upon declining sales, but the timing of this announcement – only 3 months after the FDA’s threat of penalties – speaks volumes. The Essure Birth Control Implant was first released by Bayer in 2002 as an alternative to surgical sterilization for women. In simplest terms, it is a soft flexible device implanted by a doctor into a woman’s fallopian tubes which then acts to block pregnancy. Soon after Essure’s introduction however, it became apparent that the device carried with it significant instances of pelvic pain, bleeding, menstrual irregularities and other side effects in the women who used it - often requiring surgical removal of the device. 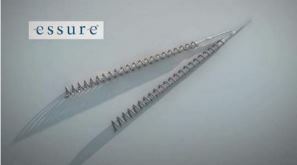 By 2017, there had been over 750,000 Essure devices implanted in women and the FDA had received over 25,000 complaints of adverse effects from patients who had used the device. In 2016, facing increased pressure from consumer groups to address the hazards of the Essure device and the inadequacy of Bayer’s warnings, the FDA – rather than pulling the device from the market – decided to require a black box warning for Essure. A black box warning is the strictest warning required to be placed on labels for prescription drugs and medical devices and is only required by the FDA when there is sufficient evidence of serious hazards and risks associated with use of the product. In 2017, after the black box warnings in the U.S., Bayer ceased sales of the Essure device in Europe and Canada, around the same time that the Australian and Brazilian governments required that Essure be taken off of the market in those countries. However, Bayer continued sales of Essure in the United States. By April, 2018, with the Essure problem continuing for women in the United States, the FDA warned Bayer that they would face severe civil and criminal penalties and fines if they didn’t do a better job of seeing that users were properly and adequately informed of the hazards and risks associated with the Essure device. Finally, last week, the announcement to cease all sales of Essure was made by Bayer – an announcement that should have been made years ago and because it was not made years ago, has resulted in pain and suffering for thousands of women. There are currently some 16,000 pending lawsuits which have been filed by women claiming to have suffered from and been harmed by use of the Essure device. For over 65 years, attorneys with Lattof & Lattof have been helping victims injured due to negligence and unsafe products obtain fair and just compensation for their injuries. If you or one of your loved ones had an Essure device implanted between 2002 and 2016 and later suffered adverse effects, Lattof & Lattof will be happy to provide you with a FREE CONSULTATION regarding your case and your legal rights. Call or contact a dangerous drug lawyer today before the time limit for filing your claim expires!